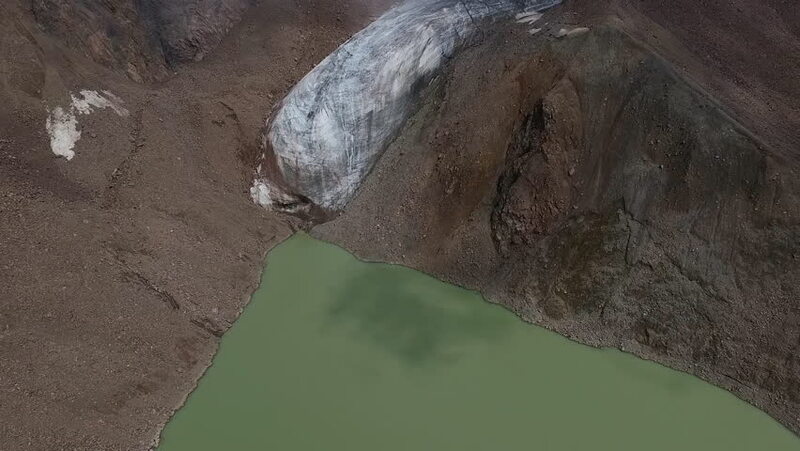 Panorama from the air to the glacier and the lake. Kazakhstan. Cloudy weather.